Artificial intelligence is leading the way in the need to better understand how Alzheimer’s and dementia patients are doing. 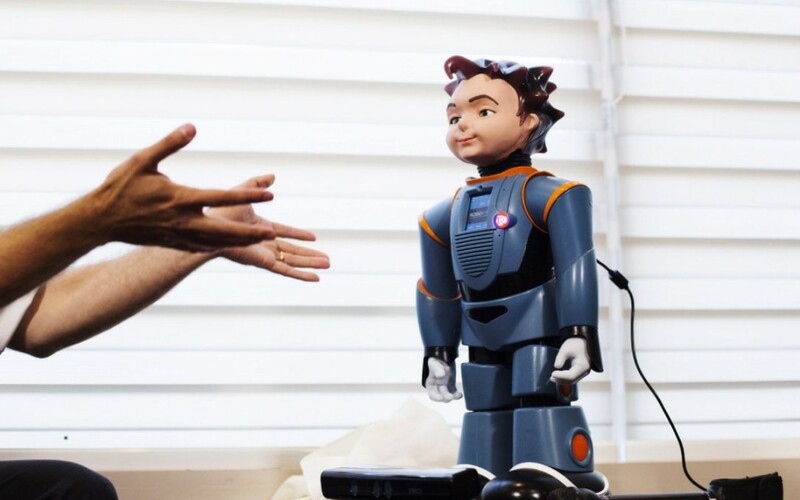 Ludwig is his name and the two foot tall robot with spikey hair, a youthful face, space like outfit and chatty personality was designed specifically to talk to seniors every day to gauge their symptoms and if patients are starting develop forms of dementia or if those with it are getting any worse. A University of Toronto research team has developed this ingenious, boyish looking robot that is currently going through a test run at a retirement home in the north end of the city. Basically, Ludwig engages in conversation with various residents and is able to interpret and analyse these conversations to help doctors and caregivers keep track of any changes in patient behaviour and demeanour. Ludwig’s goal is to engage seniors in a friendly conversation in which he can assess any lengthy time gaps in a sentence or between words, whether verbs are mixed up, if there are changes in tone of voice or speech patterns and other minute changes that can happen but may not be immediately picked up by a human. The idea is that Ludwig can catch any of these cognitive and functional changes in ability early enough so that medical professionals can intervene and implement a new course of treatment. That may include something as simple as adjusting a patient’s medication or dosage or get then involved in some kind of activity to help strengthen areas of concern pinpointed by data Ludwig was able to capture during his social chats around the seniors home. With dementia cases in Canada already at a staggering estimate of 564 thousand, and the projected numbers of patients suffering from dementia expected to explode to nearly double that amount over the next couple of decades, the need for inventions like Ludwig have never been greater, especially since there just are not enough people to properly look after and care for all those patients. Our reliance on technology will likely only increase to help alleviate the heavy burden. As of 2015, 47.5 million people around the world are living with dementia. To put that in perspective for you, that is about 12 million more people than Canada’s entire population right now. The total health care costs for people living with dementia amounts to more than 1 per cent of the global gross domestic product (GDP) in 2010, which works out to $604 billion American dollars. But there is good news. Researchers around the world are consistently working to better understand, detect and treat dementia. Closer to home, while the current trial phase of the Ludwig project is being conducted in a retirement home in North York, the long range plan is to eventually lower the base cost of the three thousand dollar unit to put it at a more affordable and retail friendly level so that it can be used in home care Toronto settings everywhere. It is not meant to replace real, live, human caregivers but as an extra helper in their assessment and care arsenal. It is meant to take the burden off home care and support workers and family members who may feel pressured to keep a checklist of everything to do with their loved one, which as you probably know, can be hard to do. According to Alzheimer Society Canada, up to 75 per cent of family caregivers will develop psychological illnesses and 15 to 32 per cent will suffer from depression because of the immense toll taking care of a loved one with dementia brings. Researchers are hoping their mechanical creation can pick up some of that strain.